In breaking news, scientists have literally discovered a gate to hell. This fiery hole of death was found right here in a farm field north of Fargo, North Dakota. The farmer who farms the land was doing his regular gallop to check out his crops when he noticed in the middle of the field, light coming out of a hole. Farmer Joe got off his cow (he rides cows not horses) and walked towards the light. Farmer Joe contacted the local authorities who in turn contacted local scientists around the Fargo/Moorhead area. 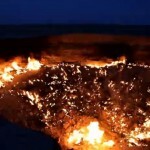 Five scientists were sent out the next day on their horses and confirmed that it actually is a legitimate gate to hell. Could it really be? Scientists say they are absolutely sure. Fargo, North Dakota is a perfect spot for satan and his minions to open up a gate to hell, they say. With winter five months out of the year and wind and rain two months out of the year, the town is filled with pain, misery, and hopeless dreams. Is Satan and his minions planning an attack? Using the gate to hell as a spawn point? Or will they use it as a recruiting tool? Or possibly a spot to sacrifice humans to please their leader? We don’t know for sure yet. Bill is trying to secure an interview with Satan himself but his assistants are being difficult dicks, he says. 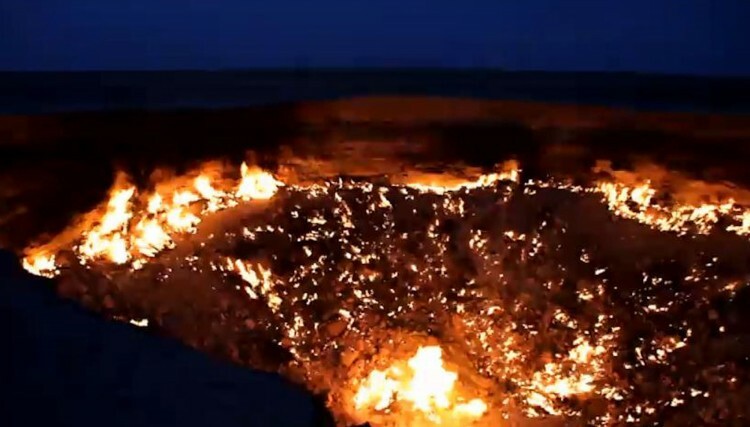 Local authorities have blocked off all areas surrounding the hole from hell and stated they will arrest anyone who crosses the line or tries entering the hole.